Capt. Kamarudin Tamyis boosting valuable experience spanning more than 30 years in the in the maritime industry. Holding the First Class Master Mariner Certificate of Competency from Malaysia, embarked on the sea carrier in 1978 with MISC and climbed through the ranks on board foreign sea going vessels mainly Panamax Bulk Carrier until 1991. 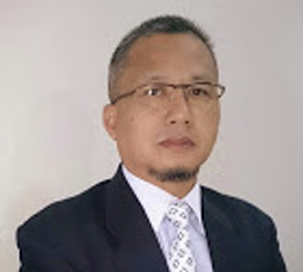 Furthering the credentials by obtaining prestigious Diploma from Chartered Institute of Transport (CIT), UK and became Nautical Studies Lecturer at Maritime Academy Malaysia in 1991. Then between 1992 and 1994, worked as Operation Manager with PLC, executing operational responsibilities of product tankers chartered with Shell Malaysia. Continuing on the upward journey, joined IMC Shipping subsidiary as Head of Sea Personnel Department and moving on to PSC Marine & Shipping as General Manager and in 1996 was posted at Palermo, Italy, as the company senior representative. Utilising his vast experience in the maritime industry and active involvement in the technical, operational and commercial aspects of shipping and maritime business, Orion Maritime (M) Sdn Bhd was launched in 1999. Utilizing the vast experience in Chartering made remarkable achievements as the company rapidly progressed to industry recognition. As the Principal Consultant leading the way for other consultants in the company involved in complex and diverse projects such as LPK Port Development Master Plan, Risk Assessment and Mooring Analysis, Development of PM9 Fields, Peninsular Malaysia Operation, PETRONAS Carigali HSE case studies as well as implementing precision jobs as qualified and certified Compass Adjuster. The highlights for the consultancy work arrived in 2011 whilst working for LPK as a Project Director for the Port Klang Development Master Plan 2010-2030. As well as the consultancy project for the formulation of a Cruise and Ferry integrated seaport infrastructure blueprint for Malaysia with Economic Planning Unit (EPU). Orion Maritime developed a comprehensive and implementable Cruise and Ferry Integrated Seaport Infrastructure Blueprint to support the growth of the cruise tourism industry and improve Malaysia’s competitiveness as an ideal international cruise. Since 2011 the emphasis has been on maritime services as well as rendering expertise to off-shore industry with various descriptions as Mooring Master, HSE consultant, Chartering Head and Compass adjuster. Simultaneously, diversifying in commodity trading, procurement and handling of various cargos for vast clientele. The network has been broadened and further entities added to the Group to cater for the industry needs. All in all Capt. Kamarudin Tamyis personifies optimum brilliance when it comes to Maritime industry and is regarded as a pioneer and most respected professional in the region and beyond.